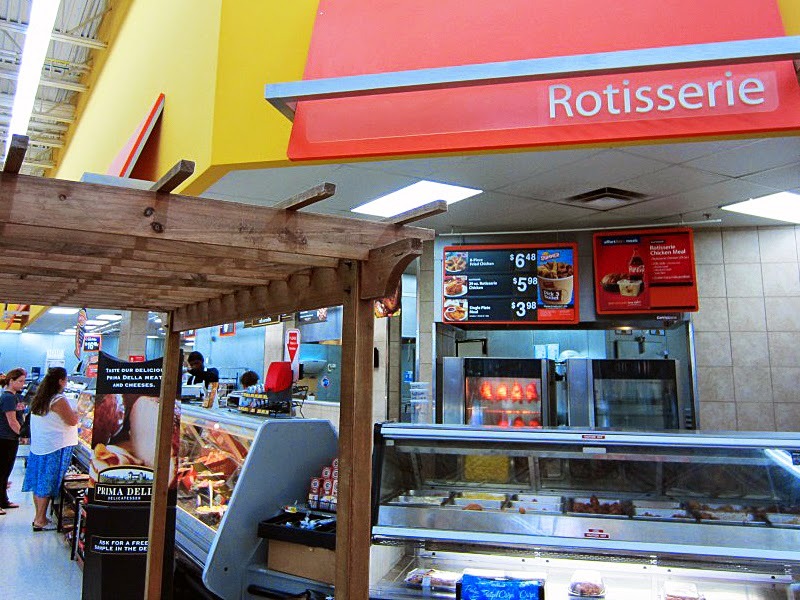 I was looking for an easy and delicious appetizer for a spontaneous homegating party, when I spotted Tyson wings at the Walmart Deli! Perfect! 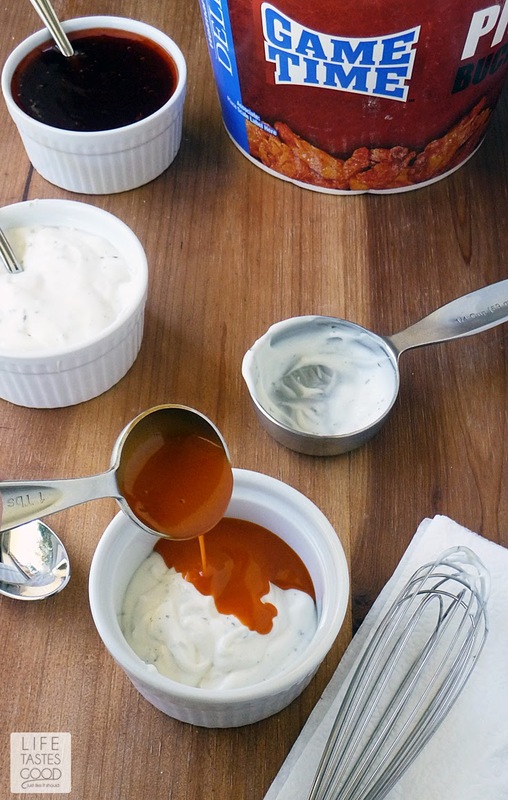 Everyone loves hot wings, and I can make a trio of easy sauces for dipping! My appetizer is easy to toss together for a last minute party and the variety of sauces has something for everyone! Score! 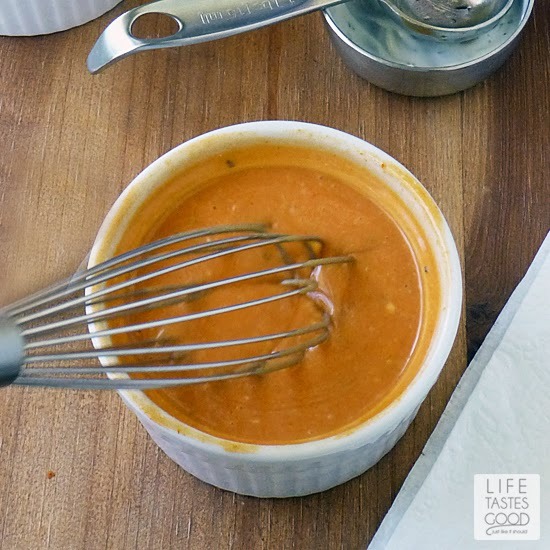 This appetizer couldn't be easier! I had everything on hand to throw this together and just had to grab the wings from Walmart and go! 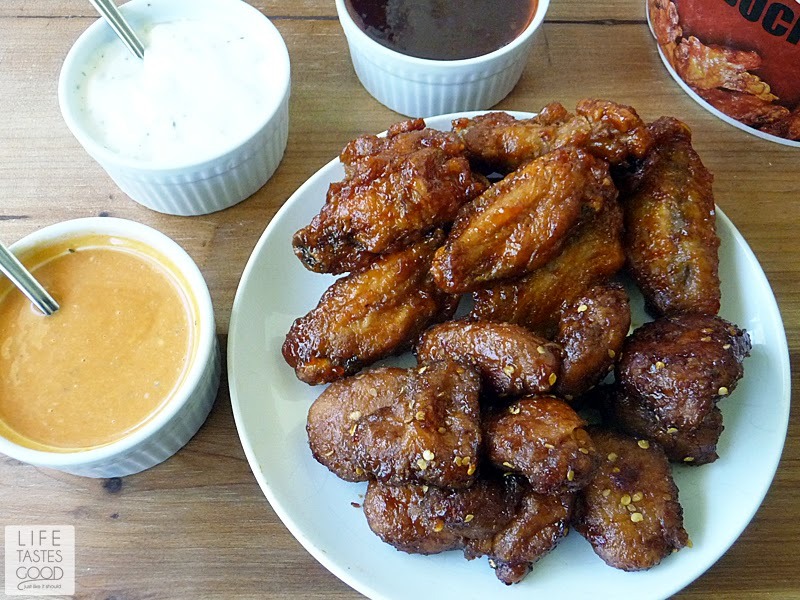 They are hot and ready and come in a variety of flavors such as Boneless General Tso's, Bone in Hot Wings, and Buffalo Boneless wings. I took advantage of the Pick 3 bucket. It is so convenient!! 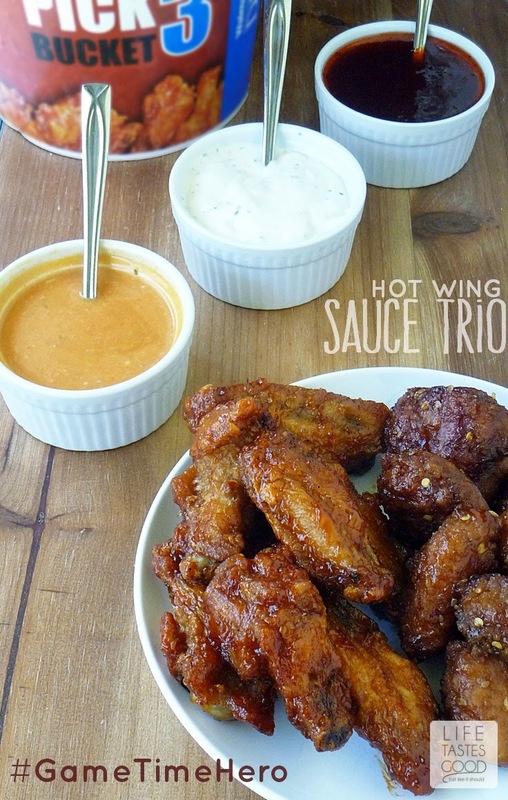 Seeing as the wings were hot and ready to go when I got home, I just had to add some dipping sauces and our homegating party would be complete! 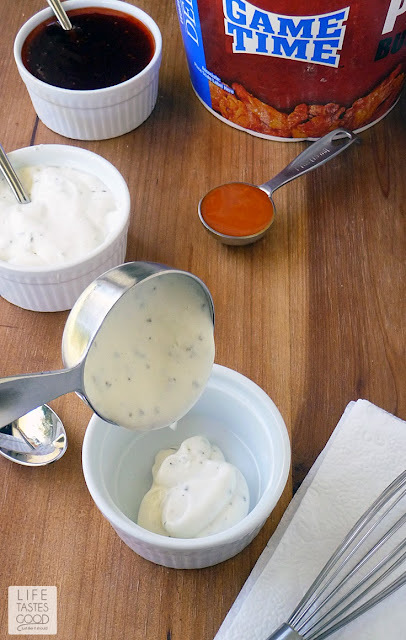 I already had some ranch dressing on hand, as well as some sweet and sour sauce. All I had to do was pour them into serving dishes and add a spoon. Easy peasy! It wouldn't be right to eat wings without my easy-to-make Buffalo Ranch Dipping Sauce though, so I whipped that up too! It takes mere minutes and is always a hit! Then gather 3 serving containers for your sauces. Pour the ranch dressing into one dish and the sweet and sour sauce into another. Add spoons and set aside while you make the Buffalo Ranch Dipping Sauce. and 2 tablespoons of honey. 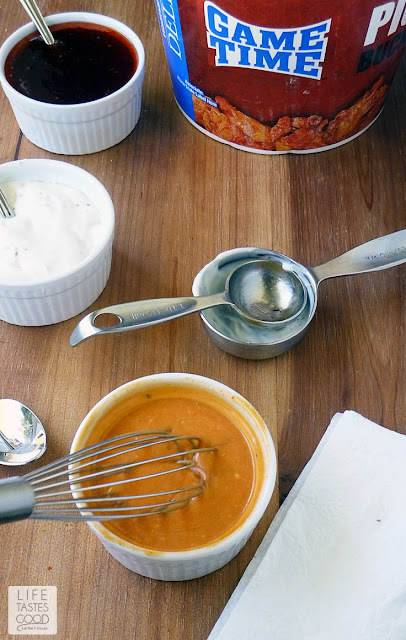 Whisk that together to combine all the ingredients and you're ready to dip! 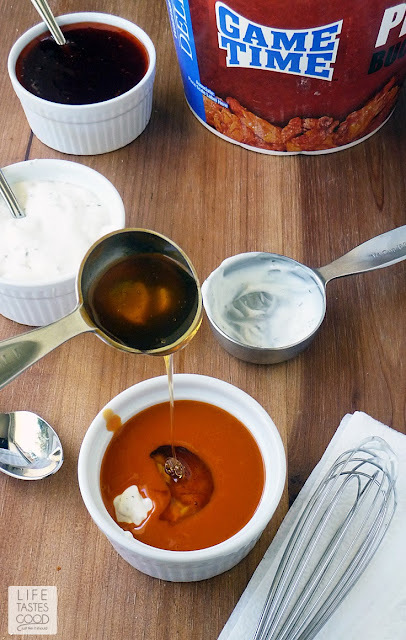 Combine all ingredients and mix well to combine. 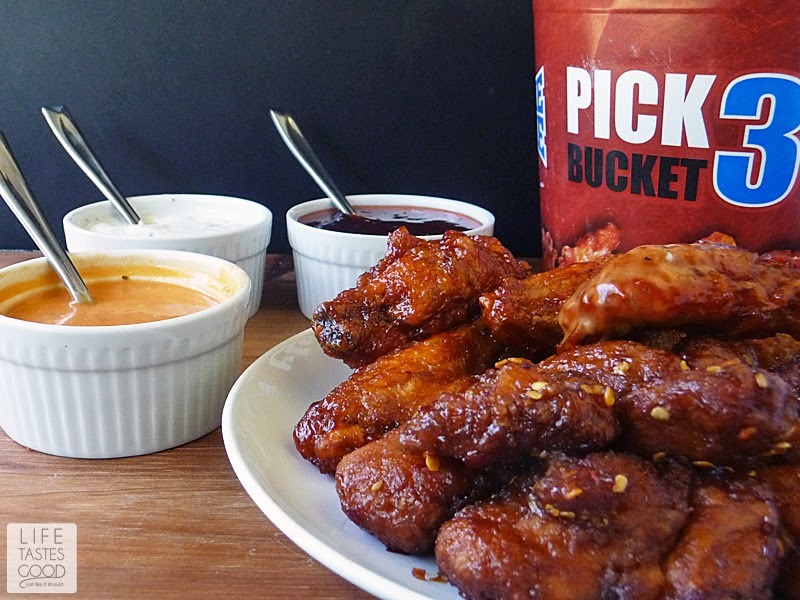 Serve with your favorite wings and enjoy! I am all about picking up those wings at Walmart! So easy!